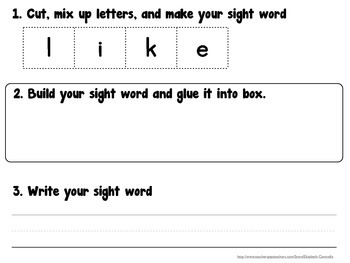 File includes scaffold practice for sight word learning. 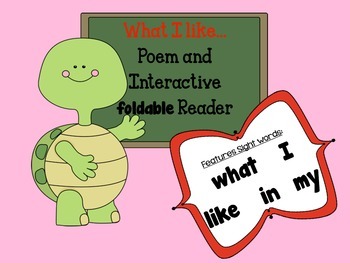 Begin with whole group read aloud of poem and insert student suggestions for their favorite food, Then, match pocket chart sight words to words in poem. Next, reread foldable/interactive book in small groups while student's complete their book and highlight sight words. 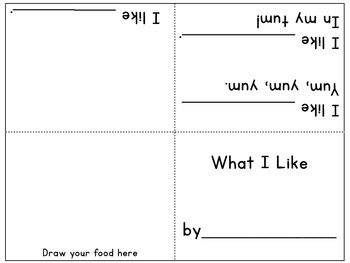 For individual practice students can cut, rebuild, and write their sight words.